you say to yourself, at this price, why not enjoy the creativity of a talented designer? Above all, the Pretty Bath pop-up drain stopper replaces the chrome plug stuck in the drain of your bathroom sink. You never pay attention to that chrome stopper, which looks just like every other chrome stopper in bathrooms around the world. If you can't choose, don't hesitate, take them all! 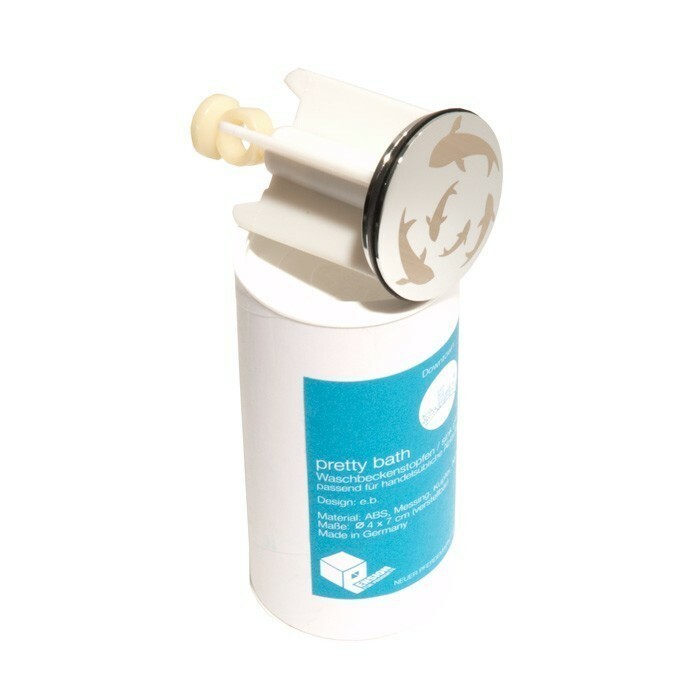 The Pretty Bath pop-up drain stopper is a designer substitute for an ordinary functional object. It works against our tendency to ignore the beauty of that which is right in front of our eyes. The light spiral hypnotizes minimalists and sensitive types, while the sharks stimulate rougher souls. joyous - here is a product that is downright joyful, different, and even subtle (especially in its spiral design, which is particularly discrete). fits anywhere - our German colleagues have intelligently made this designer stopper compatible with all standard bathroom sink drains on the market (diam. European type 28 and 40mm). 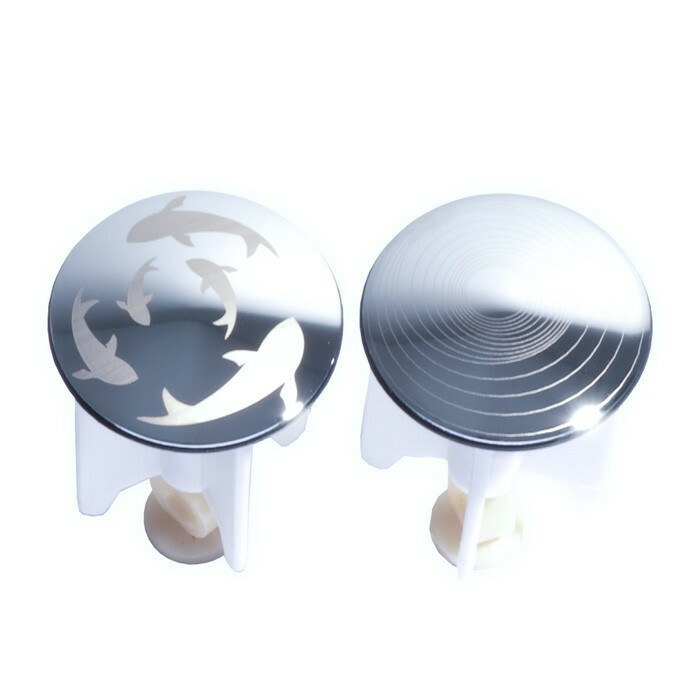 well-made - the Pretty Bath designer pop-up drain stopper lives up to demanding German quality standards - quality chrome, strong joints, and impeccable engraving.